Generally, it could take up to a year and a half to three years to recover your damages in an automobile accident. Of course, there are exceptions to that. For example, you may have very serious injuries and the car that hit you has a very limited amount of insurance and will offer that up sooner rather than later. Sometimes, however, if your injuries are very serious and the car that we are suing has a lot of insurance coverage, it’s going to take us a long time to get the case through the system, through the courts, through the processes that we need to go through in order to get you the maximum recovery. 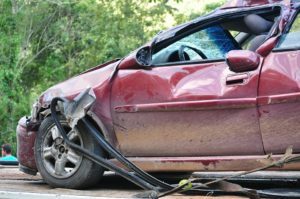 There are a lot of factors that can go into the amount of time it takes to recover damages in an automatically accident. You will need to determine the amount of treatment you will need to make a full recovery but you won’t even know the answer to that until you have gone through a certain amount of treatment already. Injuries may not heal in the timeframe that they were once expected to and perhaps it becomes the case that a person is not cooperating with the rehabilitation plan that they are supposed to.